My best piece of advice? Always geek out with your jeweler. Mine knows about my jewelry obsession, and he always brings out his most exciting finds when I stop by. 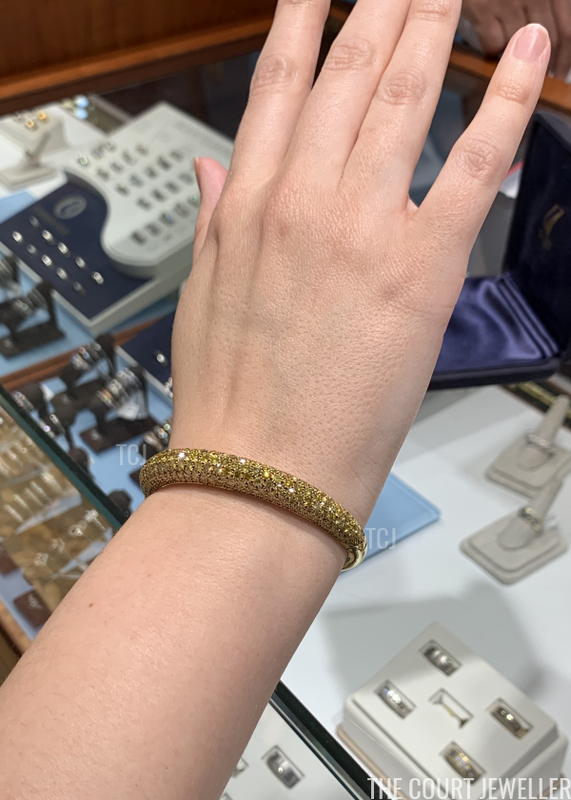 I had to share the sparkle he showed me yesterday: a gorgeous vintage bracelet from Van Cleef and Arpels. After we picked out our wedding rings (!) yesterday, our jeweler -- the talented David Kodner from St. Louis -- was excited to share one of his latest estate acquisitions. 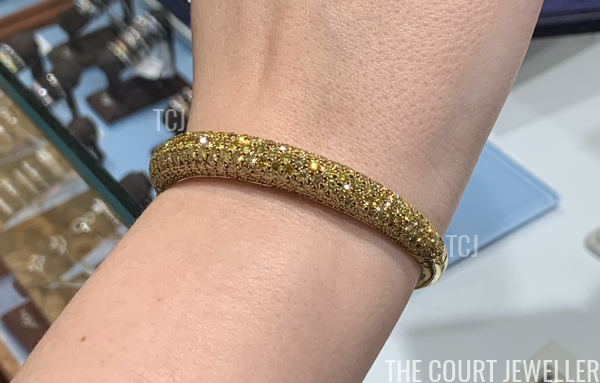 This gold bracelet, made by Van Cleef and Arpels in Paris, is absolutely encrusted in yellow diamonds. It's probably the most precious piece of jewelry I've ever worn personally. 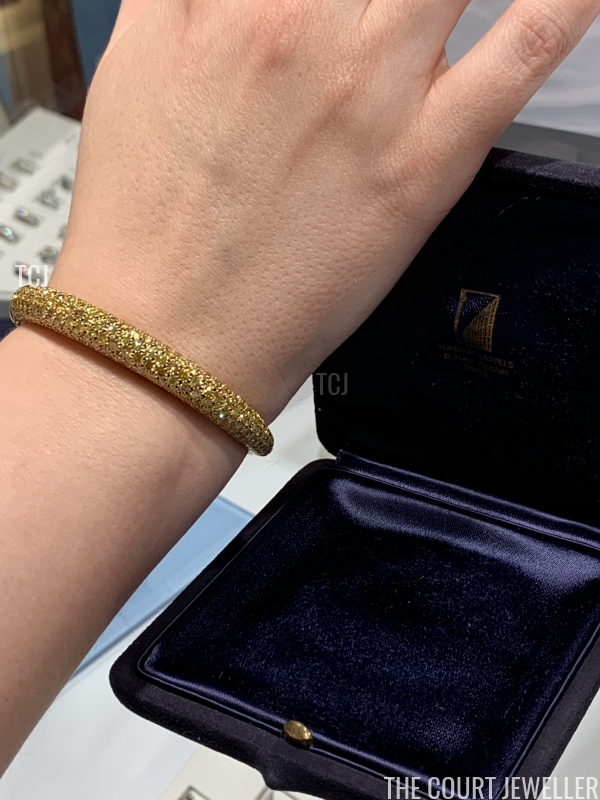 The bracelet, made in the '40s, is easily worth north of $100,000. 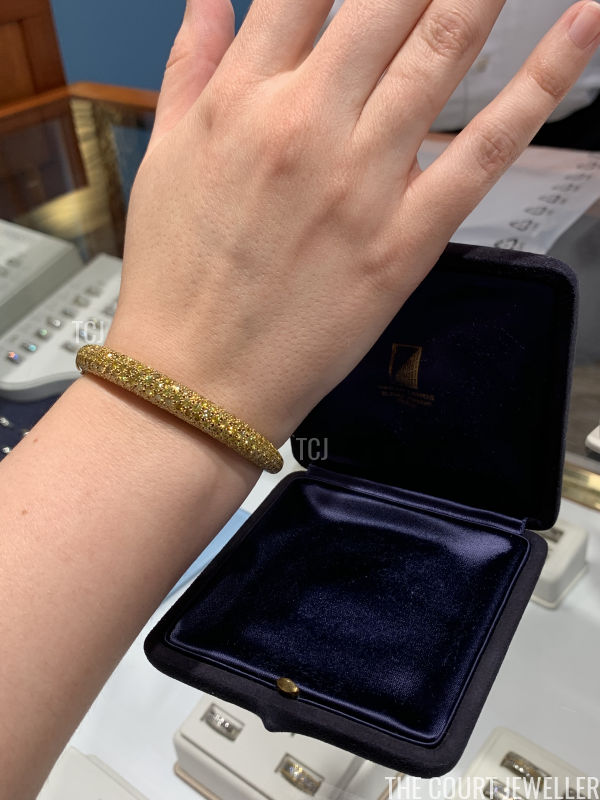 It's totally unreal in person, and its bangle design makes it surprisingly comfortable to wear.